As I sit here drinking my second cup of coffee – listening to and watching Shadow nap and Ducky eat her breakfast – my thoughts wander off to memories of my sweet Callie. And Kissy. It has been a year (last week) since our vet called to tell us the lab results confirmed his diagnosis two days earlier of Callie’s lymphoma. We had already decided to go ahead with the chemotherapy. If there was even a slight chance that it would improve Callie’s prognosis – which Steve felt it would – we had to do it. And it did help some. Her eyes brightened, she started playing more often, and the visible tumors had started to shrink in size. But the cancer had started to spread internally despite the chemo. Callie was a trooper. She did her best to hide her pain and discomfort. She continued to play with her sisters as much as she could. She even took the time to teach Ducky how to behave, and to teach Shadow how to tolerate and deal with Ducky when she was snarky. She knew we humans were in denial about her remaining time with us, I guess; and figured her younger sisters needed to start getting along with each other to make life easier for us. Kissy and I shared a bond that I thought I’d never have again. We were each other’s soulmate, best friend. She was the first dog who was mine from the start; my “baby” as opposed to my “baby sister”. I was “Mommy” and I took the responsibility for her health, happiness, and overall wellbeing to heart. I considered her needs in every decision I made from the day I first brought her home at 16 weeks of age to the day I held her in my arms as the vet gave her the final injection when she was 15-1/2 years old. Although I loved my husband with my whole heart (and still do), Kissy’s departure left me heartbroken and empty. At first I didn’t think I’d ever get another dog. But as each day passed, I missed hearing the pitter-patter of little puppy feet on the kitchen floor more and more. I knew what was missing in my life. And I knew I wouldn’t be happy until I had another dog in my life. Hubby resisted at first, but I wasn’t giving in. He finally agreed to another dog on the condition it not be another small dog. I was okay with that. We decided on a Golden Retriever. Kissy found Callie for me. She knew Callie would be perfect. 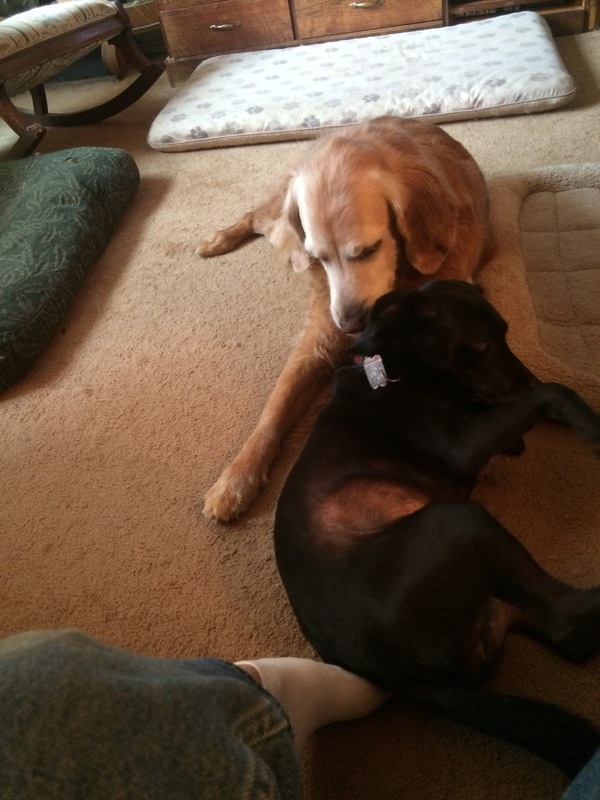 As a puppy, Callie had been as sweet and affectionate as Kissy. In some ways, even more so. And as she grew up, she remained sweet and affectionate. But she was also self-confident, independent, and a little “bossy”. And, like Kissy, a quick learner. And when I decided she needed a playmate, another dog to keep her company when we had to be away from home, Callie took it upon herself to be surrogate mama. Kissy knew Callie would help fill my emptiness and so she went back to sleep in my heart and allowed Callie to take over. Callie was my heart dog, too. Kissy had been totally dependent on me her entire life, at a time when that was what I needed in my life. Callie was my independent girl, but with a heart of gold. She was my helper, my teacher, my best friend as well as my canine daughter. She helped me raise Shadow, and then Ducky. And to be honest, she did a better job of raising them than I did. 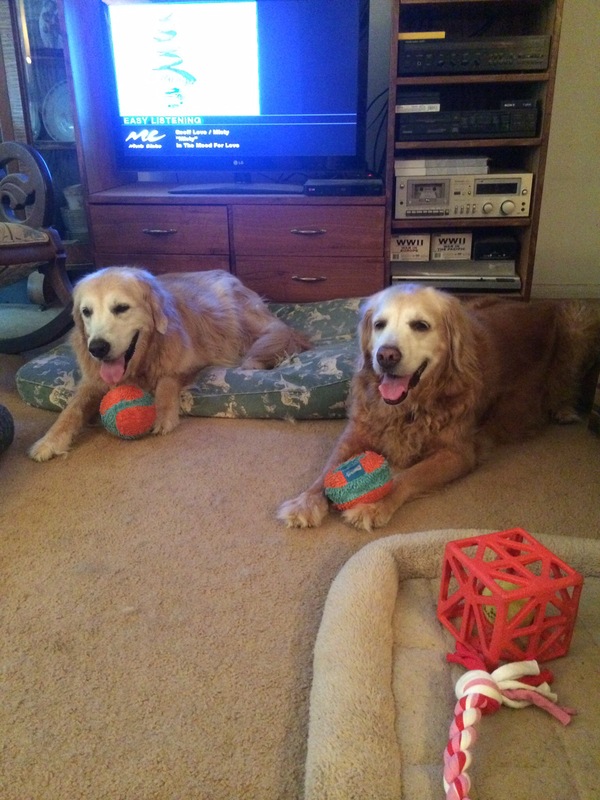 She taught them both how to be dogs and enjoy life. And she taught them how to get along with each other once she was gone. Ducky was a better student than I gave her credit for at first. Shadow has always been a “Velcro dog”. I named her “Callie’s Shadow” because we got her to be Callie’s buddy, cohort, and companion. The name fit her perfectly. They were only six months apart in age, so we never really thought about one of them ever being without the other. Since Callie’s departure to the spirit world, Shadow has become MY shadow. A little more each day. She seems to have accepted the fact that Callie isn’t coming home, at least not in her earthly form. But she still prefers to sleep in Callie’s favorite spots – other than the (human) beds – and play Callie’s favorite outdoor game. And she sniffs at Callie’s favorite stuffy toys when I take them out of the closet, even though she walks away from them after a moment or two. I know she misses Callie. She misses the snuggling, the grooming, the companionship, all the moments they shared from day one. All those moments that can’t be replaced, only added to, as each day went by. Every time that hubby and I have to leave the house without Shadow – whether Ducky’s home or at daycare – I feel guilty. 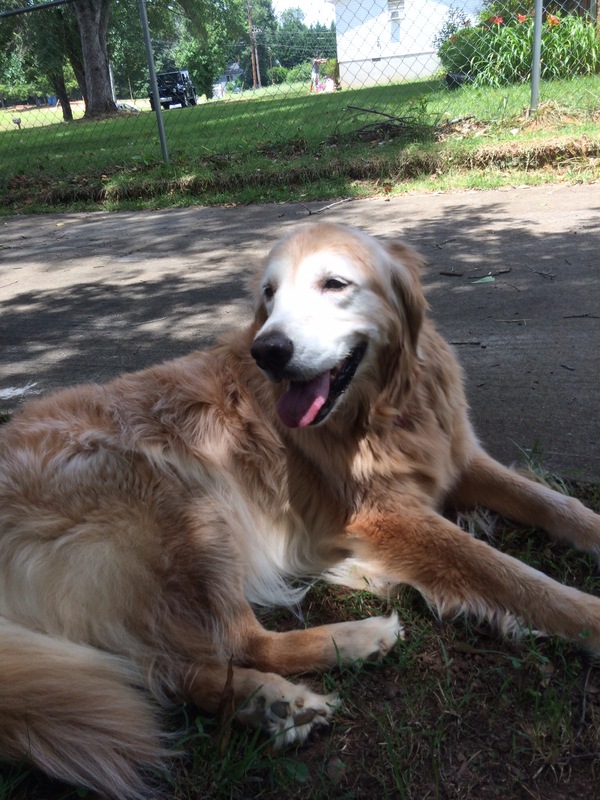 And I feel like we should adopt another senior Golden Retriever to keep Shadow company, and to be her friend. Two things stop me. First, the mere fact that we just cannot afford a third dog at this point in our lives. And second, but more important, I don’t want to risk a setback in the relationship between Shadow and Ducky. Ducky was always competing with Shadow for Callie’s attention. Callie was “top dog” and Ducky knew it. She didn’t want Shadow around when she played with Callie. Now that Callie is here in spirit only, Ducky is happy to have Shadow around even though she still gets snarky with her at times. And Shadow likes to play doggie games with her little sister. A third dog – I think – would just upset the applecart all over again. Someone would end up being left out of the games. And I’d end up feeling guilty about it. So, when we leave the house without the dogs, I ask Callie to watch over them. And I try to put my guilty feelings aside.